I rather like this fabric covered button I made a few weeks ago. I've attached it to a simple hair tie and like to wear it when I'm wearing pink and green. A few weeks ago, I bought two different kinds of fabric covering kits to try out. The cheaper plastic one didn't work at all I found, and I think it was a waste of $3! The metal one is the one I ended up using for this button. 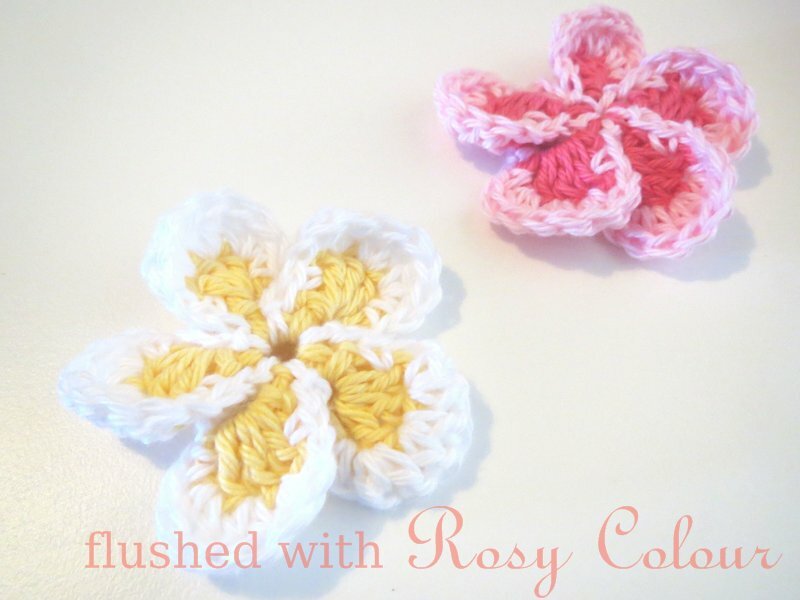 I still have 6 left of the packet, so I hope to make some more when I get the chance. 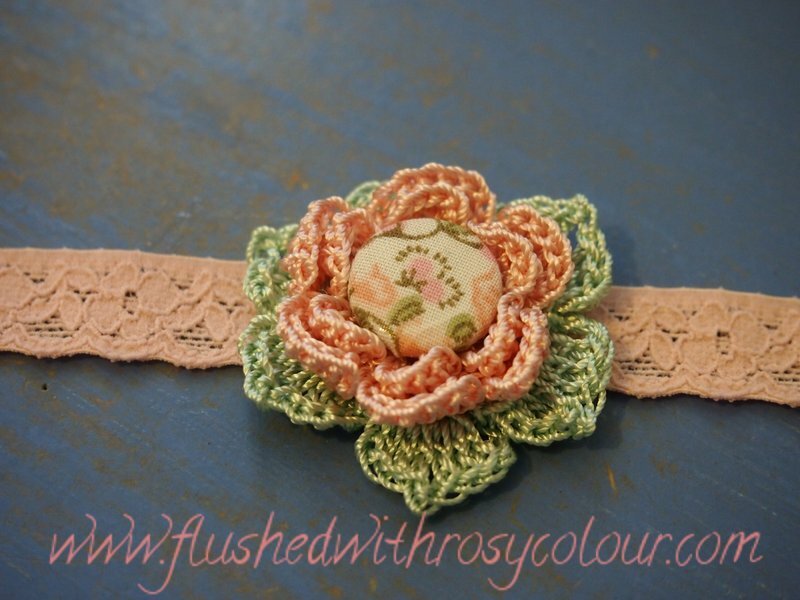 how does the button look with this pink and green flower, with pink stretchy lace? While I was at Lincraft, I also bought some stretchy lace to see if I could make some headbands to go with the spring flowers I made. I only bought about $6 worth, I hope I haven't wasted my pennies on more useless craft material! I took some photos of how the flowers would look against the stretchy lace. I rather like the pink and green one with the fabric button in the middle. I wonder if anyone else does?